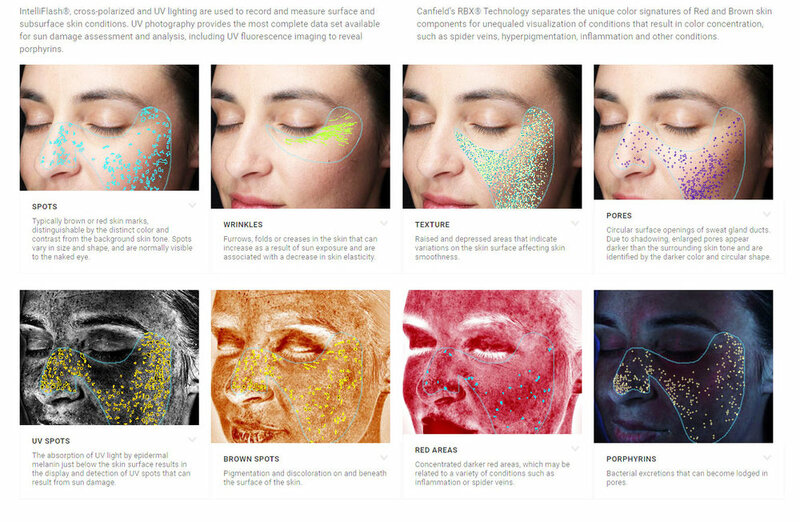 The all new 7th Generation VISIA Complexion Analysis System allows standardised facial photos to be taken with analysis of your skin's pigmentation spots, wrinkles, texture, pores, vascularity of the skin, and porphryins. It allows you to visualise you skin in 3D and determine your Truskin age, giving an easy to understand analysis of your skin's problems. It is the basis of individualised skin treatment programs to help achieve your goals. It also is easy to visualise results of skin care regimes, laser treatments and injectables with before and after comparisons.